Last month, EPA Administrator Scott Pruitt visited CNX Coal Resource’s Harvey Mine and training complex in Pennsylvania. The Harvey Mine is part of one of the largest underground coal mine complexes in the country. Featuring an array of the latest mining technologies, it showcases modern mining and the skills of our nation’s coal miners. The Harvey Mine began longwall operations in 2014 with estimated coal reserves of 203.5 million tons. The mine’s average annual production capacity is 5.5 million tons of thermal and high-vol metallurgical coal. The site also features an underground training academy. 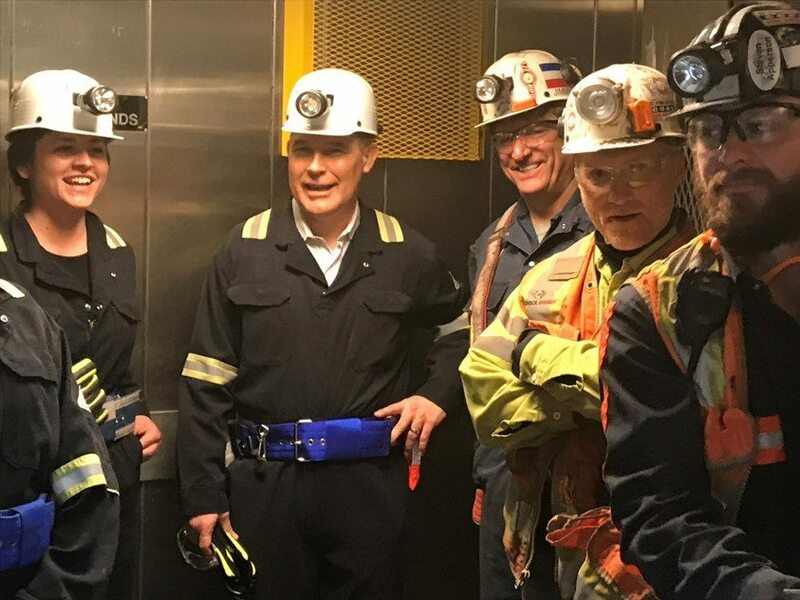 At his visit, Pruitt declared that the “war on coal is done” in front of dozens of CNX Coal Resources’ miners in hardhats and coveralls. He recognized the contribution that America’s coal resources, the world’s largest, make to our nation’s economy and energy security. CNX Coal Resources is a key partner in powering our nation and providing Americans with affordable, reliable electricity.